Ludovico Einaudi is a prolific Italian composer and pianist, and has published 20 albums since 1988. In his work he is often influenced by the quotidian and nature: his album 'Una Mattina' is the perfect soundtrack for a lazy spring morning with a book and a good coffee, and in 2016 he recorded a heartbreaking 'Elegy for the Arctic' for Greenpeace. His latest project is 'Seven Days Walking', a series of seven albums that will be published in the next seven months; all focusing on a different day of the same walk in the Alps, and how the days change while walking, slowly but discernible. "The idea first came to me as I was listening to the recordings of the first sessions: each version seemed to me to have its own personality, with subtleties so distinct from one another that I was unable to choose which I preferred. I associated everything with walking, with the experience of following the same routes over and over, discovering new details each time. And so in the end I decided to thread them all together in a sort of musical labyrinth, a little like stepping inside the twists and turns of the creative process, to understand how a musical idea can develop in multiple directions, and changing once again at the moment in which it is heard." You can listen to the album through a variety of different services here. Our friends at Caught by the River are following up their recent sold out event at the Trades Club in Hebden Bridge with a follow-up double-header on Saturday 6th July. The daytime event will be Caught by the River’s first ever fiction-centric event, with a fantastic line-up of established and up-and-coming writers. In the evening, music takes centre stage with performances from Dean McPhee and Andrew Wasylyk, after which Heavenly Jukebox DJs will spin tunes ’til chucking out time. Jessica Andrews - reading from her hotly anticipated London/Donegal-set debut novel Saltwater (published in May by Sceptre), and discussing it with journalist and short story writer Anna Wood. Wendy Erskine - talking about and reading from her debut short story collection Sweet Home, originally published by Stinging Fly Press in 2018, and due for a Picador reprint in June 2019. Wendy appears in conversation with author David Keenan, who wrote of Sweet Home in the Guardian: ‘Erskine’s arrestingly original debut short-story collection bears the ghost of 68-98, as she writes about the magic, ferocity and surrealism of contemporary Protestant Belfast. David Keenan - presenting his recent Troubles/punk rock/Perry Como-laced second novel For the Good Times, and answering questions put to him by writer and broadcaster Emma Warren. Helen Mort - reading from and discussing her debut novel Black Car Burning (Caught by the River Book of the Month for April 2019) with Wendy Erskine. When reviewing Black Car Burning for the CBTR site, Erskine said: ‘[in this] layered and watchful novel, the stuff of people’s lives – trivial, quotidian, messy, painful – is rendered with imaginative precision and poise’. Anna Wood - recent winner of the Galley Beggar Press Short Story Prize - reading a selection of her published and unpublished stories. MC duties for the daytime event will be taken on by longstanding Caught by the River contributor Emma Warren. The evening event (doors 8:00pm) will feature an intimate live performance from Andrew Wasylyk, who presents songs from his acclaimed third album The Paralian - ‘a conclusion embued with blue and golden melodies that land in a territory akin to experimentalists such as Robert Wyatt and Brian Eno. Through which, Wasylyk weaves the listener along a contemporary-classical, ambient and jazz library-dream shoreline of Scotland’s east coast. Support comes from West Yorkshire solo electric guitarist Dean McPhee (‘Simultaneously soaring and depthless, soothing and unnerving, solemn and joyful, McPhee’s excursions feel weird, unknowable, as if the path we’re on is both bright and labyrinthine, a certain route to the unknown’ says MOJO), with the Heavenly Jukebox DJs ’til close. Tickets for the daytime event cost £15 (Trades Club members £12); evening event £12 (Trades Club members £10). A limited number of combined tickets are available for £23. Chalk Hill Blue is the name of a butterfly that can be found in those chalk landscapes around Wendover in Buckinghamshire, where the poet Will Burns lives and writes. 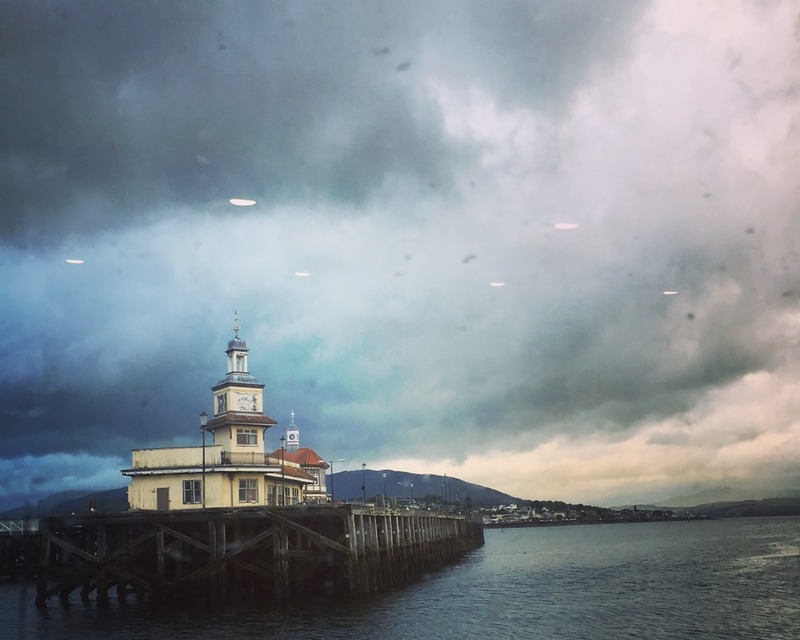 It is also the name of the album Burns has created with the artist, producer and composer Hannah Peel, with his words and her music coming together to create a haunting, unsettling and strangely beautiful portrait of a place and its stories. Burns and Peel met in 2016 and two years later began working on the album. Sometimes the music came first, with Burns then selecting the poem that fit best with the sounds Peel was composing. Sometimes it was the poem that inspired the composition. The result was this album, released by Rivertones label of Caught by the River. What role does place play in our identity? How do we find our feet in an ever-shifting world? How do we make sense of what has been lost? There is a danger in these questions, but it doesn’t mean they shouldn’t be asked. Questions of home and belonging, of the lost stories of place and an impending environmental catastrophe are key questions of our time. It is not possible to observe the movements that gave us Brexit, the rise of the AfD in Germany or the Gilets Jaunes of the French periphery without understanding how these questions link in. As we mop out our flooded towns and we try to protect our villages from raging forest fires, as we wonder where the bees have gone or why the cranes are staying through the winter, these questions return to us time and again. These are uncomfortable questions, and it is to Will Burns’ and Hannah Peel’s credit that Chalk Hill Blue provokes us to ask them. We cannot ignore them. We have to find the answers to these questions and find the answers that are not rooted in nostalgia or the exclusion of others. There is no going back. However we find a answer, and one which rejects the dead ends of nationalism and nativism, the first step is to tell the stories. The first step is to know what is happening. How did we get here? It can be the role of music, of poetry and of art, to bring those stories to light. Through its thoughtful, thought-provoking poetry and beautiful, atmospheric music, Chalk Hill Blue does just that. Will Burns & Hannah Peel will be performing Chalk Hill Blue live at dates around the UK. More info on Caught by the River here. The album is released by Rivertones and is available on CD or 12” Vinyl here. Paul Scraton is the editor in chief of Elsewhere: A Journal of Place. His debut novel Built on Sand is published by Influx Press in April 2019. I first listened to In Place, a new song-cycle by the composer Colin Riley, as I moved through Berlin on the way to meet a friend. The songs accompanied me along the river that leads from our apartment building to the row of late stores and kebab shops, jewellers, travel agents, bakers and pawnbrokers that tout for business along Badstraße. The songs provided the soundtrack of my U-Bahn journey beneath the city streets, the landmarks of the German capital passing by above me, and as I stopped at a bookshop and a supermarket before climbing the four flights of stairs to my friend’s apartment. This album will now be linked in my memory with this springtime journey through the city streets. This happens to me a lot with music. The albums of my childhood, when heard today, take me right back into the car as we cross the Llanberis pass in the drizzle or the wide expanse of Anglesey in the sunshine. Some songs conjure memories of barbecues in a Leeds backyard or of a ferry deck on the way to Sweden. There is the music that soundtracked a piece of good news, which offered consolation during bad times, and provided company during a long wait through the night for the birth of my daughter. Because music is tied so much to my memories, it is also rooted in place. Not, perhaps, the subject of the songs or the albums, but something very personal, based on my own experiences. So I was interested to approach Colin Riley’s In Place with the knowledge that these were songs already rooted in place, including as they did text from contemporary writers of place, including Paul Farley, Robert Macfarlane and Jackie Morris, as well as some already-existing pieces of landscape writing, to create an audio portrait of the landscape and languages of the British Isles. On that first listen, moving from the riverbank to the street to the underground station, the album felt like it was also taking me on a journey. It was in parts physical; the songs conjuring up moments on the moor or forest path, moving past tin mines and abandoned railway stations to suburban street corners and edgeland wastelands. But it was also like a journey of the imagination, the music moving in surprising directions as the texts seem to drift in and out, as if I was moving the frequency dial on an old-fashioned radio through stations named for places I had only ever seen on a map. Back home I listened again, attempting to scribble some notes. I am not a music writer and I find it hard to describe music in any real sense. What is going on with the music in Colin Riley’s song-cycle? Jazz? Probably. Classical? Sure, why not. But the truth is, even as I attempted to listen more closely, trying to be able to write a considered verdict on this beautifully created work of collaborative art, I realised that I was not capable of describing the songs in any way other than what it was that they made me feel. There were sounds that suggested the natural world. Rivers and waterfalls. The sounds of the forest. From there the songs took me up onto the fells and down into the valleys, before dropping me on a street corner in the post-industrial city, where the hammer, blast and clang of the factories have long been silenced, but still echo in the sound of footsteps and in the rhythm of a bassline or the beat of a drum. What I liked most of all about In Place, from the first listen to subsequent times I went back to it, was that this was no gentle stroll through a pastoral, idyllic representation of the landscape of the British Isles. Although there is wonder in this music, there are also haunting moments that challenge the listener. Once more, I was conscious that during this journey Colin Riley and his contributors were taking me on, there were certainly things that were beautiful and breathtaking, but there were also unsettling moments, uncanny or simply strange. And this is how it should be. For why else would be we explore the coastline or the unknown city neighbourhood, search for the hidden valley or take the path that leads deep into the forest? 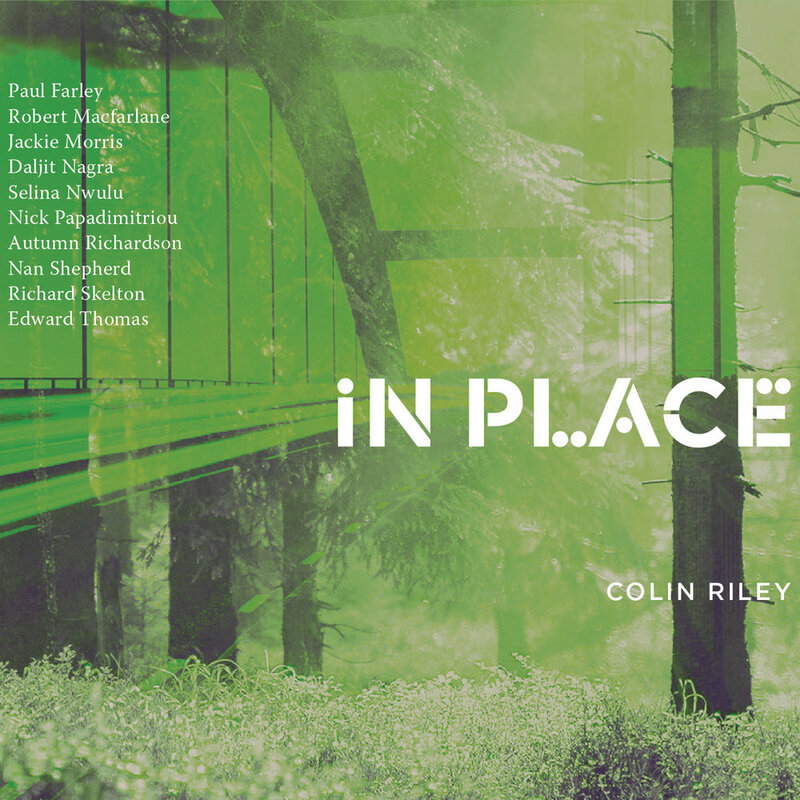 In his notes for the album, Colin Riley began by writing that ‘a place can make you feel many things’. This is true. And it is to his credit that In Place managed the same trick for me, as I began the process of adding my own places that were now tied to this music to those already contained within the songs themselves.